I recently went to New York City, and saw the new transportation hub that serves the World Train Center, adjacent to the 9/11 Memorial. Called “the Oculus”, the station was designed by Spanish architect Santiago Calatrava to resemble a winged dove in flight. The Oculus changes the transportation standards. 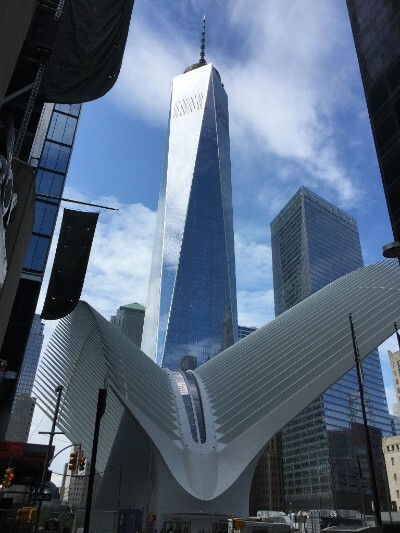 The composition, flow, security, signage, technology, and incorporation of retail and food services are lessons that architects designing other transportation hubs will need to incorporate in a post 9/11 world. Last week, CAHME completed its initial stage in examining our education standards. The Standards Council, chaired by Dan Zismer (Castling Partners), thoughtfully reviewed our current criteria, debated proposed changes, and critiqued the reasons for revisions. Council members included a mix of academia and senior healthcare executives: Don Avery (Fairview Park Hospital), Brad Beauvais (Trinity University), Heidi Boerstler (University of Colorado Denver), Matt Brooks (Texas State University), Martin D’Cruz (Ascension Health/St Vincent Health), Pat Ketsche (Georgia State University), Jeffrey Kraut (Northwell Health), John Lowe (Simmons College), Sharon Schweikhart (Ohio State University), and Margaret (Peg) Van Bree (Hasbro Children’s Hospital). Dan West (University of Scranton) participated as the CAHME Chair. CAHME’s past CEO, Margaret Schulte provided the continuity from the work that began during her term. For me, the give and take, debate and compromise, respect and thoughtfulness that occurred during the meetings was what makes CAHME special. The work that this CAHME Community of Scholars are doing will result in a well-prepared healthcare management workforce. Like the design of the Oculus, the end product of the Council is based on a new healthcare and education environment. However, unlike the Oculus, the revisions of the Standards Council will not be strikingly different, but built on the established competency-based standards. Look for more information about the results of the Standards Council soon, including what this means for our programs. CAHME continues to provide value-added benefits to our programs as we advance the quality of healthcare management education. Through Modern Healthcare, CAHME is offering a yearlong complimentary subscription to all students of CAHME accredited programs. This includes unlimited access to ModernHealthcare.com and Modern Healthcare Digital magazine (weekly). To learn more about this benefit for CAHME accredited programs, visit CAHME Communications. This benefit is provided by Modern Healthcare, as a part of their commitment to educate the future leaders of healthcare, and to be “the leader in healthcare business and policy news, research and information”. Modern Healthcare is the exclusive media sponsor for the CAHME Awards Program. Look for more information on the CAHME Awards Program soon.